As some 350 pediatricians were scheduled to lobby Congress Tuesday for more gun control, some pro-Second Amendment students were planning to demonstrate on the campus of Florida Gulf Coast University (FGCU) wearing empty holsters, according to WINK News. Now might be a good time to ask the pediatricians why, if they are asking for a ban on semi-auto rifles, do they even want a minimum age requirement to buy those firearms? Perhaps the best people to ask that question would be the College Republicans at FGCU. They’re involved in the “empty holster” demonstration at the campus, and they are also planning a Second Amendment panel discussion with members of Moms Demand Action for Gun Sense in America Thursday at 7 p.m. in the school’s Cohen Center. What happened in Parkland, Florida on Feb. 14 is still fresh in America’s collective consciousness, but it now appears that the “other side” of the rights issue is getting attention. This Saturday, April 14, demonstrations in support of the Second Amendment are planned in several locations across the country, from Connecticut to Alaska. These rallies are in response to the “March for Our Lives” events held last month. 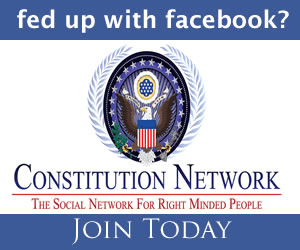 To find a rally in your region, visit the Facebook page for the National Constitutional Coalition of Patriotic Americans.